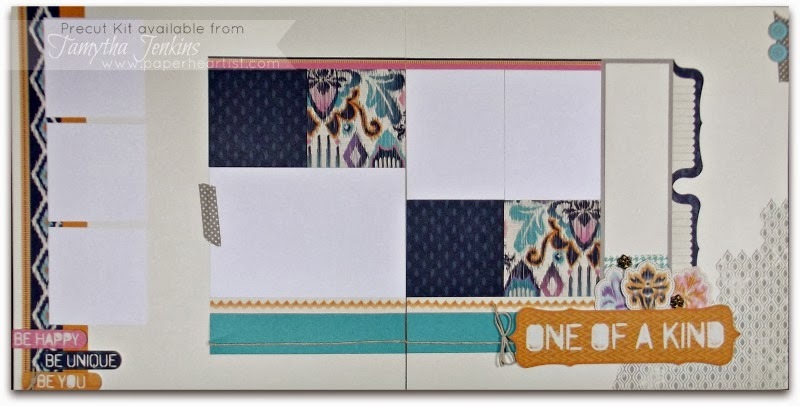 Here are two Sarita layouts that I added on my Kits page last month, but never posted here. If you would like either one of these kits, they are only $15 each and include everything seen in the photo, except where noted. You can save $5 by picking up both for only $25. Not to mention, you save shipping when you purchase more than one at a time. *Note: White Daisy cardstock is not included in the kit and merely represents photo placement. If you would prefer that the Outdoor Denim cardstock (dark blue) is not precut, please send me an email and I will send you a full sheet rather than precut pieces. *Note: Due to the arrangement, the White Daisy cardstock, which represents photo placement, will be included with this kit. Your Sarita layouts turned out so lovely. I especially like the way you used the journaling spot on the first layout. Have a wonderful rest of your day.